The island of the gods, island of paradise, the land of opportunity. Lots of people dream of having their own retreat. Less actually do a retreat. Few succeed. Bali has one of the most beautiful beaches, known for its health oriented yoga clientele and is foodie paradise. You have been coming to Bali multiple times, every time falling a little more in love with what Bali has to offer. You are a yoga lover and you know lots of people who have gone to Bali for a complete detox and relaxing holiday - at some beautifully unique location. Then you thought to yourself, how hard would it be to make my own yoga retreat in Bali? “I have some unique life stories to share! Online yoga packages are way overpriced and I can offer so much more to my students”. What is the key to success? 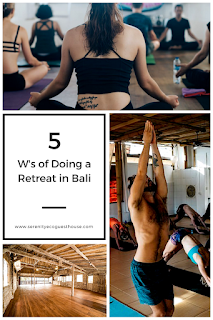 Check out our “5 W’s” before even thinking of starting a retreat in Bali. · What is their age group? Younger or older crowd? · Relationship status? Single and ready to mingle or a couple looking to fall in love allover again? · What are their likes and dislikes? Vegan? More relaxing? More serious? Will they be allowed on their phones during the day? If you can answer the above questions with confidence, move on! What are you going to offer for people’s time and money? 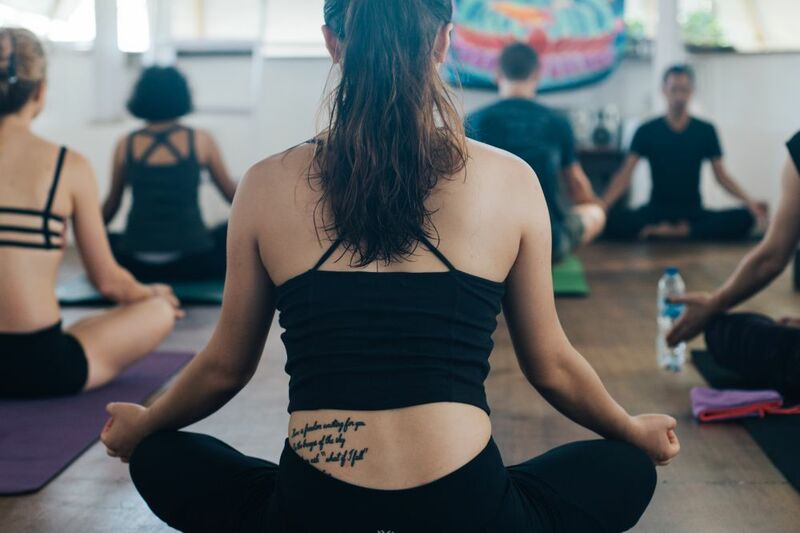 · Yoga retreat: Full holiday experience or more philosophical? Fewer luxuries or more? · Yoga Teacher Training: Is this a serious teacher training? Certified? Or your unique take on a certain part of yoga? · Yoga workshop or some other workshop: Is this a one-day teaching? 3 day? 7 day? More than 7? Is there going to be a specific topic or many topics? Will you teach all the topics or will you work in partnership with somebody? More partners means splitting the income but it can be less work. What is the location that you plan to do your retreat? · Bukit: up and coming area in Bali. Starting to have a build up of accommodation and yoga centers. Pro: secluded area away from everything, waves. Con: dry area, far away from everything. 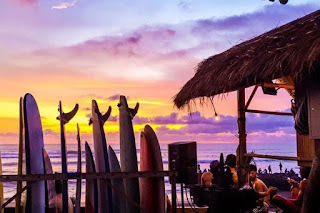 · Canggu: Said to be the second largest concentration of yogi’s in Bali. Home to surfers, bikers and yogis – what a mix. Somehow all living in harmony. 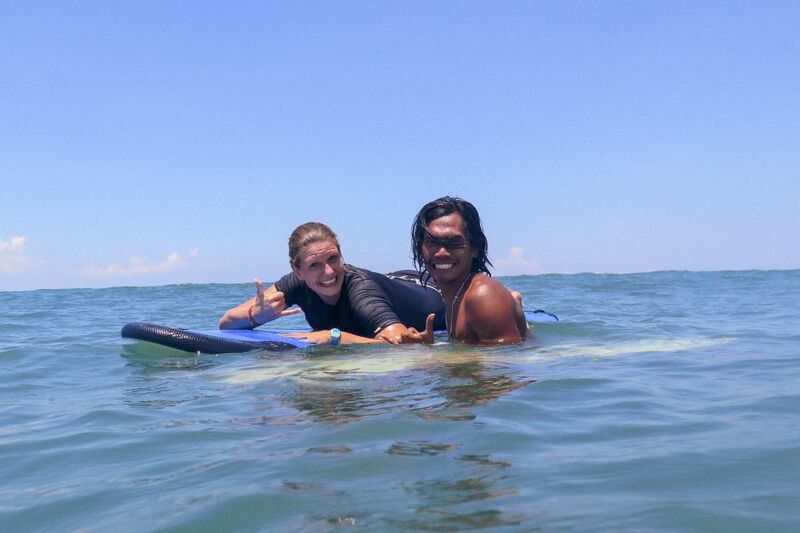 Pro: where else do surfers, bikers and yogis all hang out? Con: not as “holy” as Ubud, not as chill as Sanur. Location is important. Where you do your retreat signifies the image and what your retreat is about. Tourism in Bali is seasonal. High and low season depends on what your crowd is. Focused on a foreign or local crowd? Australians make up the majority of Bali’s tourism. The busiest months are between July and September, when Australia is coldest. It is also briefly high season from 20 December to 10 January, during Christmas and New Years. The rest of the time it is low season. Take special attention to Indonesia’s many public holidays, especially the religious ones. They have a significant impact on traffic, airplane ticket prices and hotel prices. Also, Bali is often understaffed during the Muslim, Hindu and Christian holidays. Think long and hard for this one. Why do you personally want to do this retreat? Fulfillment? Money? Lets be honest, it cannot be about the money. Especially if you just started, you would be lucky to break even. Unless you already have a following or have a group ready for the trip. You asked yourself the 5 W’s. You feel confident that you have something unique to offer to the world. Know where you are going to do it. Know your target market. Ok what’s next? Well how well do you know Bali? Do you have contacts for accommodation, transport, meals, massages, and legality? Have somebody (manager, assistant, trustee) to take care of expenses, payments and preparations? If yes is the answer, congrats, you make up the minority. You must have invested lots of energy and time finding the right people and places? Serenity Eco Guesthouse and Yoga. Simple theme. Powered by Blogger.